This document serves as a brief description of how you go about setting up Ogone to work with CiviCRM. 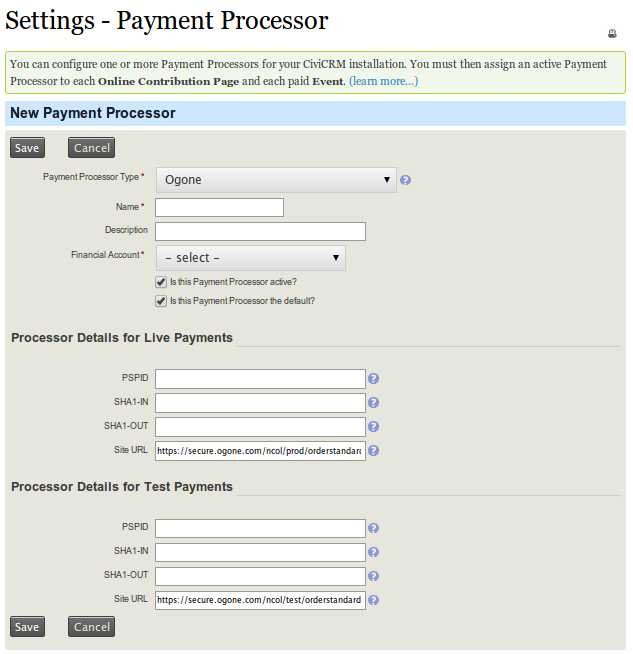 You should now be able to view the following screen when you set up extension for Ogone Payment Processor. 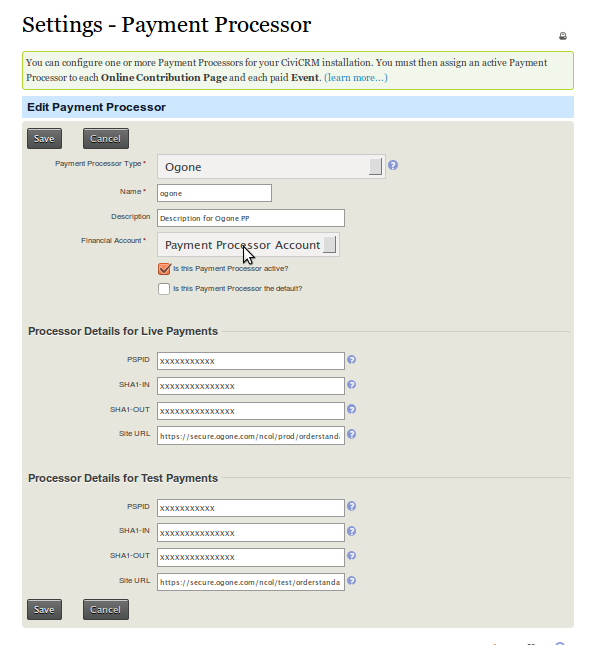 The next thing is to configure Ogone payment processor. The following configuration steps are required under your Ogone merchant account.Please ensure you have your merchant account set up on secure.ogone.com before continuing. Security for request parameters : Set your SHA-OUT pass phrase its required to verify your transaction before complete.